Hal Greenberg: What is Kickstarter? People have seen me posting about stuff I have purchased (backed) on Kickstarter or when I share what friends have created, and now people are seeing what projects I am involved in. We’re a home for everything from films, games, and music to art, design, and technology. Kickstarter is full of projects, big and small, that are brought to life through the direct support of people like you. Since our launch in 2009, more than 4 million people have pledged over $608 million, funding more than 41,000 creative projects. Thousands of creative projects are raising funds on Kickstarter right now. Together, creators and backers make projects happen. Kickstarter to me is a way to crowdsource new and interesting ideas, to get the funding ahead of time before you start spending thousands of dollars on it. We have ideas we want to see made, we ask for you help and in doing so if if funds you get the item but usually more as well. 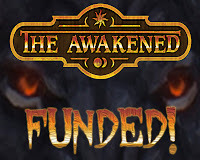 In our resent campaign: The Awakened you get the opportunity to get a signed bookplate (sticker) with all sixteen authors names on it with every physical copy purchased, the hardcovers will be signed and numbered by the publisher and no other hardcovers will be made, all backers of $5 or more get the eBook as well. 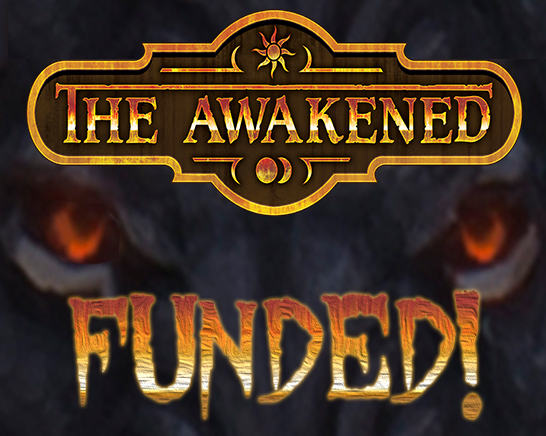 So you get cool exclusive stuff and we get the funds to make it and possibly more books depending on how far the funding goes, that is what the stretch goals are for, yes we made enough to make it BUT do you want more stories, art in the book, and an audio version of said book?? ?